What is affect? "to touch the feelings of (someone); move emotionally." Architecture, can have an affect on individuals. The affect is defined as the subjective transposition of the quantity of instinctual energy. 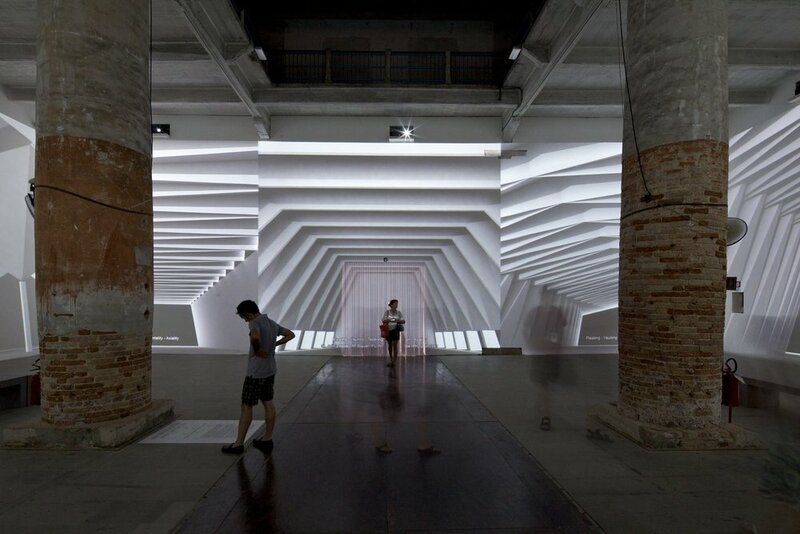 Affect is always attached to a place and the notion of place is fundamental to architecture. The sensations a place has upon arrival and stay there has an affect on a person. The things you feel there or what you see can all affect your mood. Through the dissection of the Freudian definition of affect as something vague or well defined, that we can actually identify the role of architecture in affect on three different levels: incidental, integral and protagonist. Incidental: This state of affect happens when "the architecture need not play a prominent role where it can merely be the setting in which the affect takes place." An example is a hospital, where there is happiness and joy for a new born child or grief and sadness for the death of a loved one. Here, architecture merely houses the experiences. Integral: This type of affect is when the architecture sits on the background. An environment which may feel like home, a place we associate with safety, security and comfort. "We are not always aware of the architecture except in its absence; without it we would be exposed to the world." Protagonist: This is where architecture is the main character in the creation of affect. "Assisting in provoking various emotions from the subject. An alien city can become a daunting place where a complex system of streets and lanes leaves you disoriented and lost." These three roles highlight the type of relationship we have with architecture and how it impacts us in the shifting narratives. There are many areas around town that make you feel uncomfortable. It might be because of the environment and the people around, but mainly because the architecture affects you. As I was walking toward a narrow street in Miami Beach, I saw that the street was extremely narrow: perhaps 15-20ft wide and tall buildings that ranged from 30-40ft in height were settled along this service street. What might drive us or take us out of discovering a new path or driving it to the possibilities of something is if we find the architecture threatening and/or harmful. The unknowns provide us with a possibility of imagination of what could be? For example, the facades of the buildings upon the street above touch the individual in an uneasy way. The relentless repetition of the windows mirrored on each side of the street becomes an increasingly escalating awareness with the individual in the amount of unknowns that we can image: are people watching me? What is going on behind the windows? This topic refers back to Voyeurism in architecture because of the idea about what do people do behind all these closed doors and windows? The image above, by Stepehn Mackie from Dundee University, represents a street with an uneasy quality, allowing for one to create a narrative in their head which is completely fictitious but it affects the way we experience a space. He also states that "an affec has the greatest potential when there exists a certain emptiness in the architecture, an ambiguity in the truth which forces us to predict that lies ahead. S apce that is sinister is only sinister because we use the architecture as a screen to project our fears and anxieties. This projects has the ability to exaggerate and warp architecture, enhancing the feelings that we experience. One cannot create sinister architecture but rather use architecture as a device to allow people to interpret the situation as they perceive it. London-based Farshid Moussavi’sinstallation at the Arsenale explored different experiences within everyday life and culture that are the result of architecture accepting certain “common grounds.” Entitled ‘Architecture and its Affects’, viewers were surrounded by changing projections of textures and patterns, structural configurations and facades, which were organized in such a manner as to highlight their affects, rather than their chronological existence or historical references. The other one, a student project from Yale School of Architecture by student Jessica Flore Angel. The project statement is quite broad and does not really go in depth about how these two different geometries have a different affect on the individual. This project for two inhabitable spaces starts with a simple geometric gesture that cuts the site in half diagonally in order to generate two inextricably linked volumes. The interplay between the initial geometry of the site and the new geometry triggered by the diagonal is utilized to instill an “affect of repetition”. As a result, a new rhythm between void and plain is created that reinforces the ambiguous definition of interior and exterior spaces. I think the most important part to know about this project is the fact that the student starts with a simple geometry. She is using only architectural techniques which is the act of repetition to create different experiences. One overhead and one on the floor and on the walls. The rhythm she uses creates a type of experience for the individual and affects the person in a dramatic way. It is also very important that she has two paths as well because they can have two different feelings and emotions in both narratives. Non-Places, An Introduction to Supermodernity by Marc Auge. The Language of Psychoanalysis by Jean Laplanche and Jean-Bertrand Pontalis.